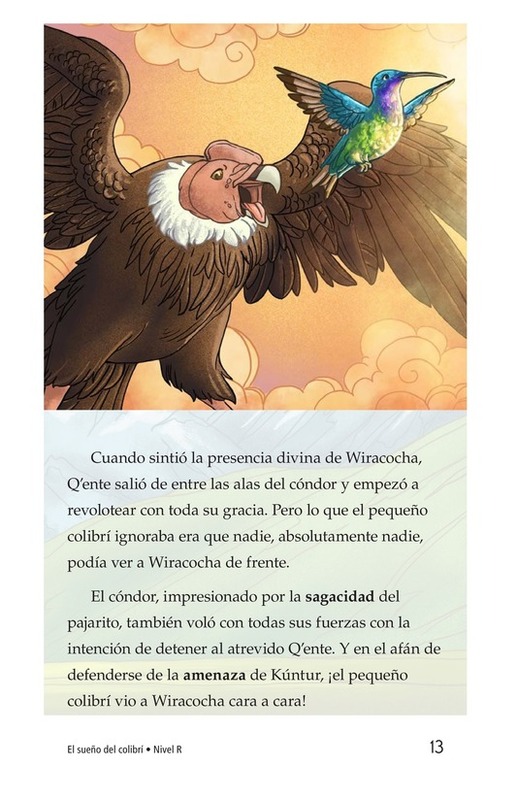 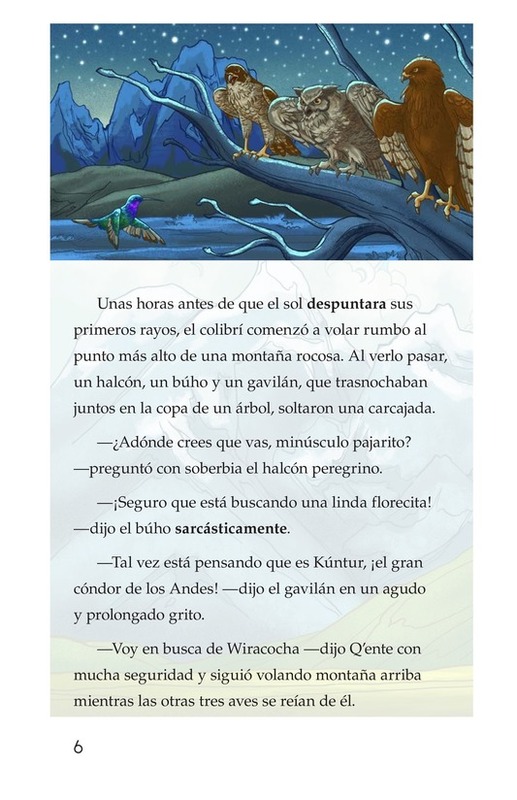 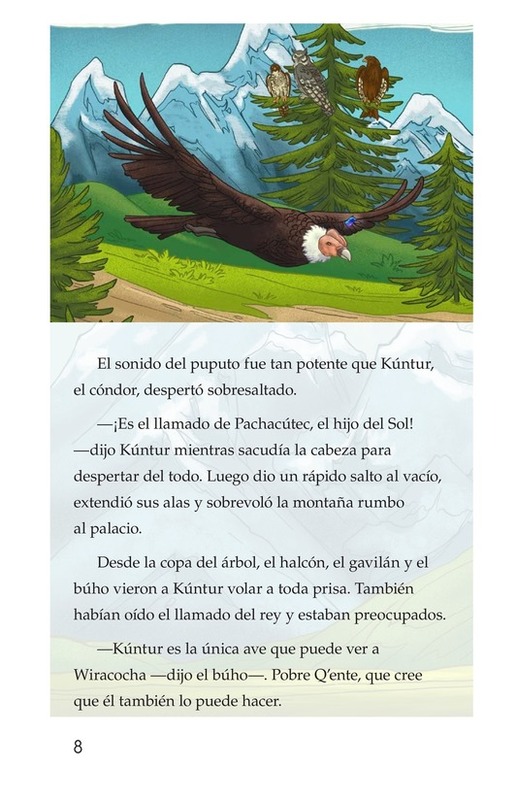 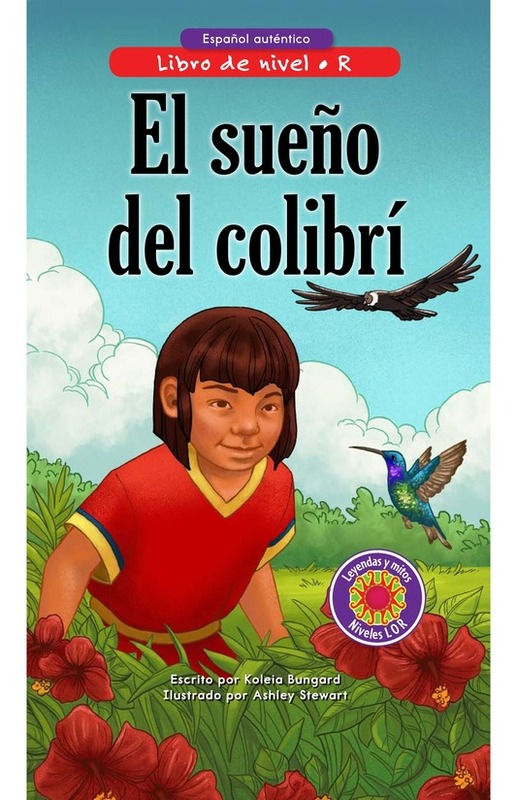 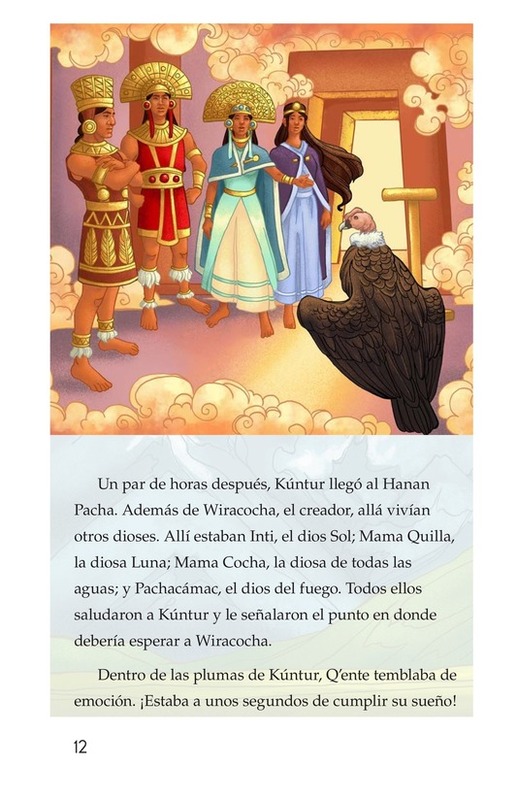 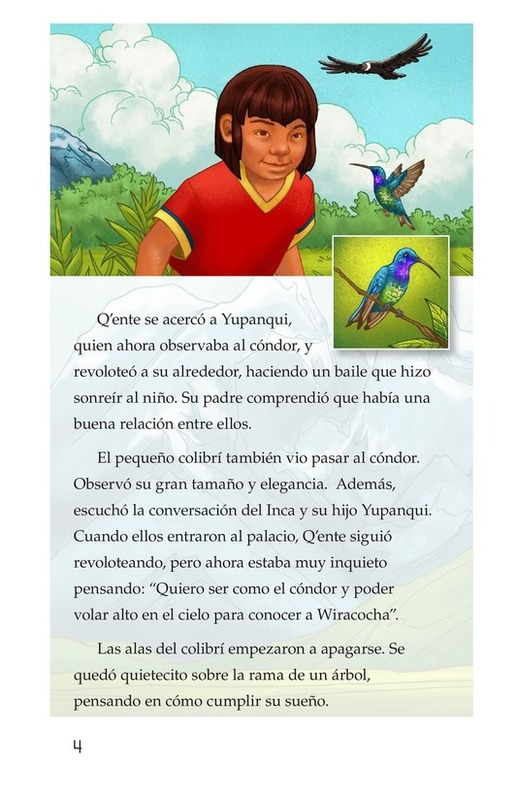 El sueño del colibrí is an interpretation of an Incan legend that talks about Q'ente, a hummingbird that lives in the empire of the king Pachacútec. 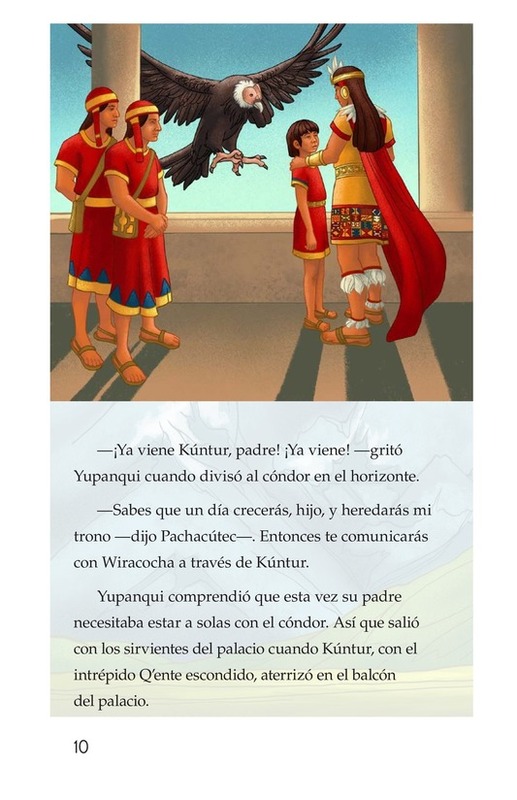 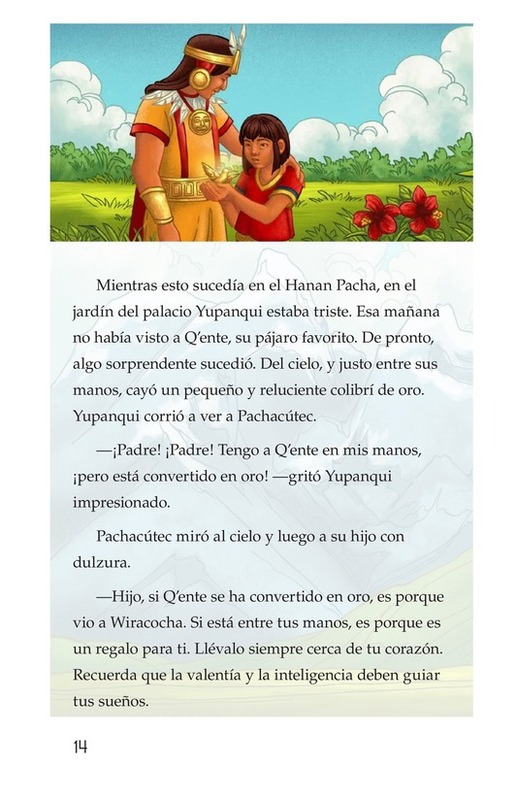 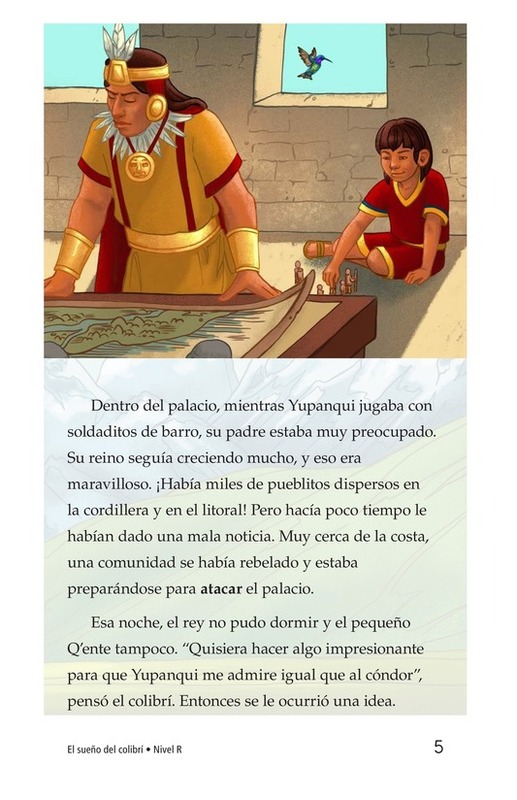 Q'ente loves being close the king's son, Yupanqui. 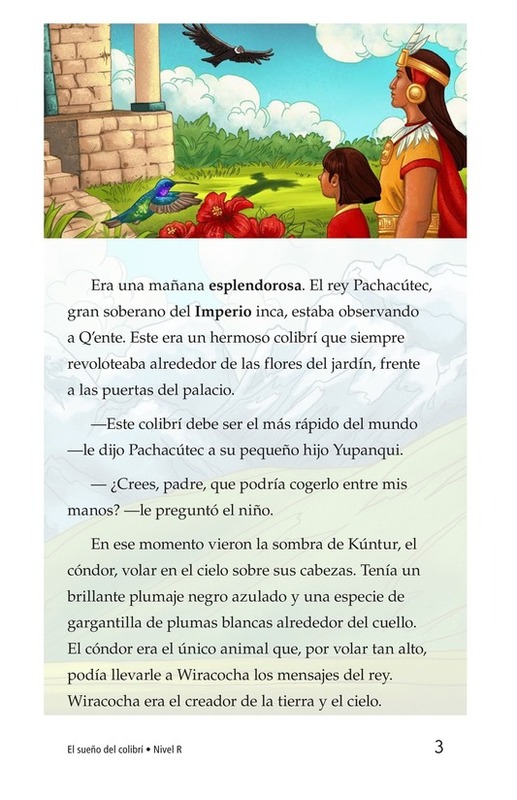 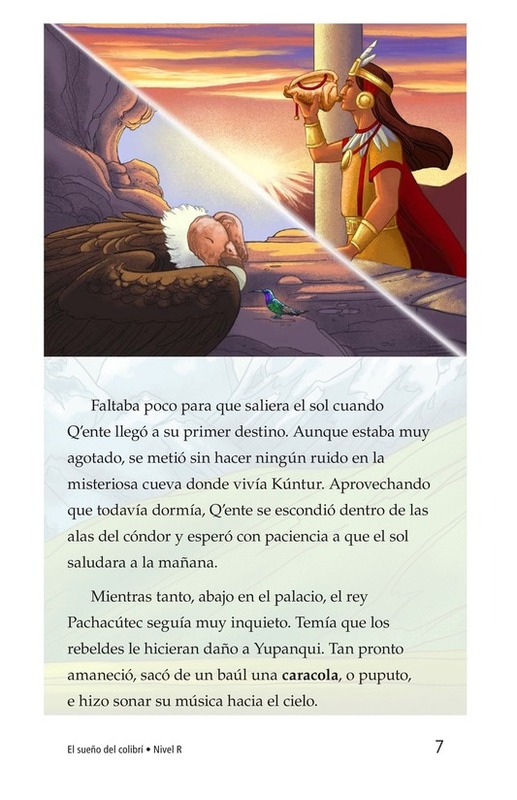 This story narrates the adventure of Q'ente to the heavenly world of the Incan gods, as he tries to fulfill his dream. 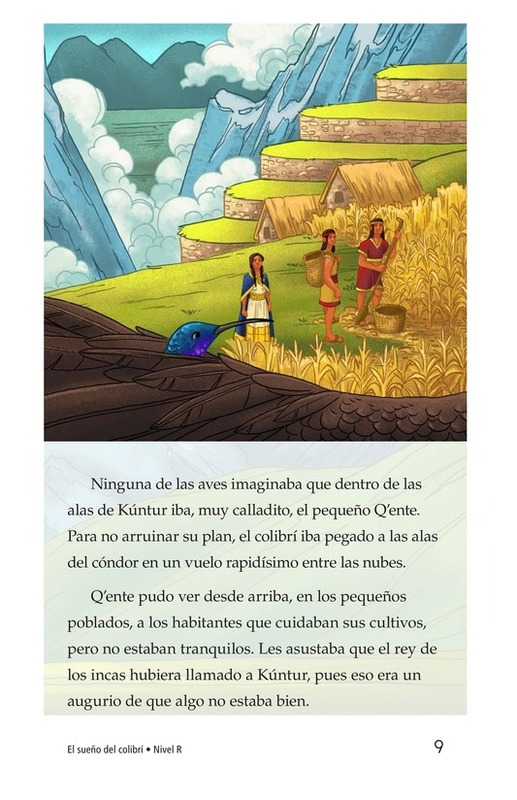 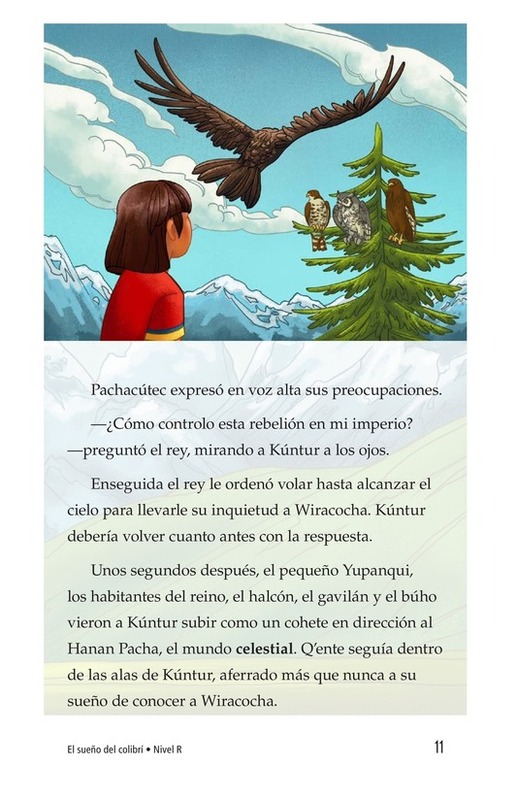 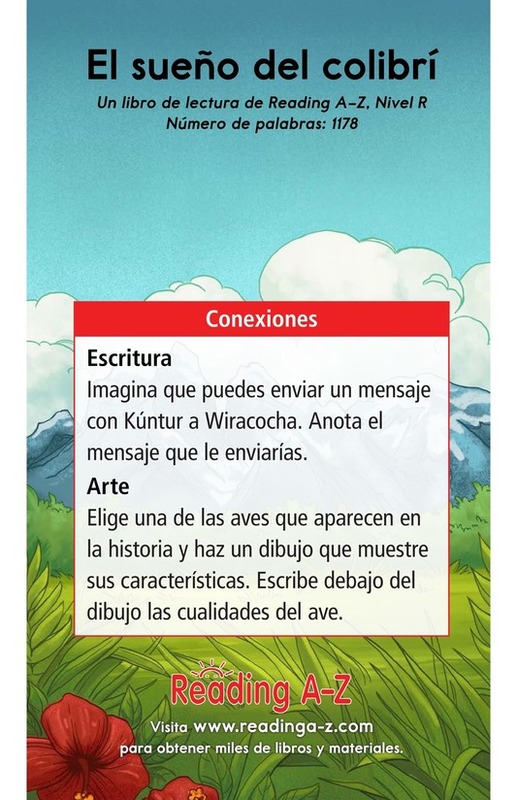 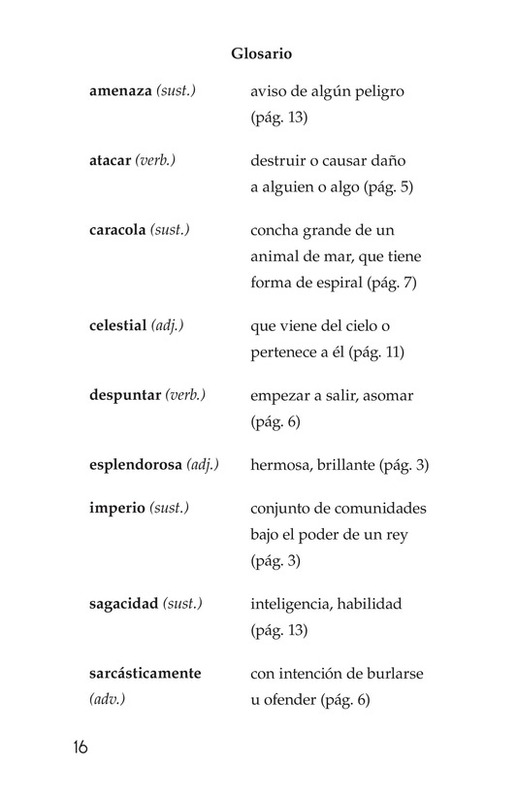 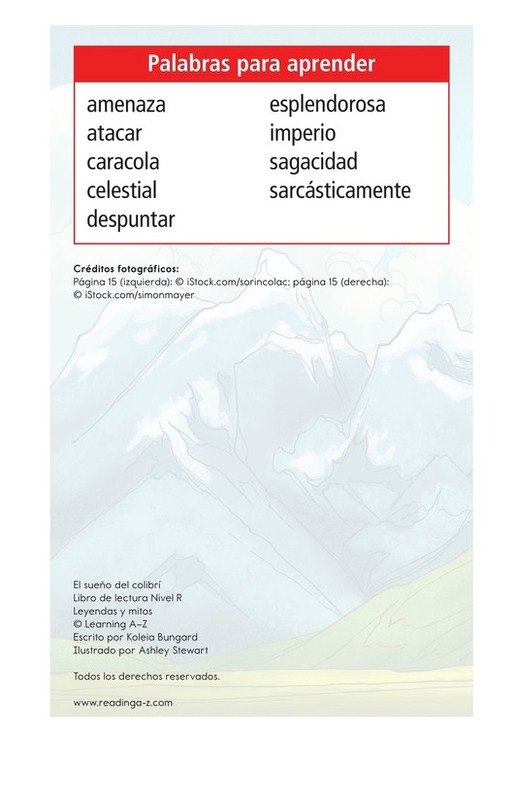 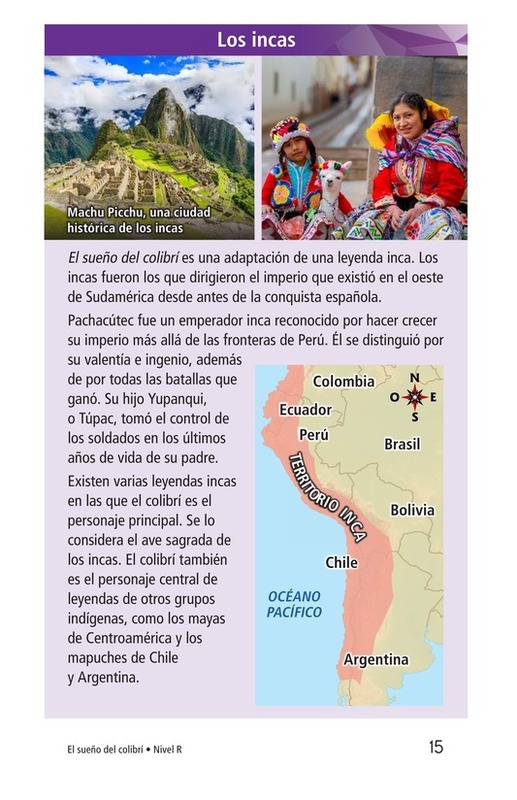 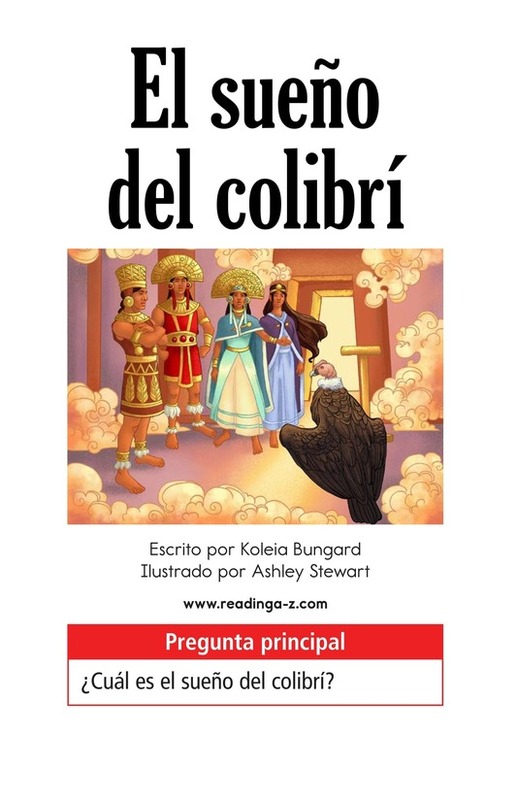 This book can be used to introduce the Incan culture as well as to teach students to analyze the characters in a story.